Keep calm, and don't fear technology. That's the message from Peter Thiel, the enigmatic entrepreneur who's now targeting Hollywood for what he describes as an industry-wide negative portrayal of technology. "Most people don't like science, they don't like technology," Thiel said at a Wall Street Journal tech conference in Laguna Beach, Calif. on Tuesday. "You can see it from all the movies Hollywood makes, where technology kills people -- it's dysfunctional, it's dystopian," he said. "People prefer to retreat to their Victorian houses." The billionaire PayPal co-founder also cited Wall Street's preference for stock buybacks over new investment as evidence of "anti-tech" sentiment. "If you have a tech company that's sitting on mountains of cash, it's telling you that it has more money than ideas," he said. The outspoken Thiel, who was also an early investor in Facebook (FB), made headlines last month for criticizing Apple's (AAPL) lack of innovation. 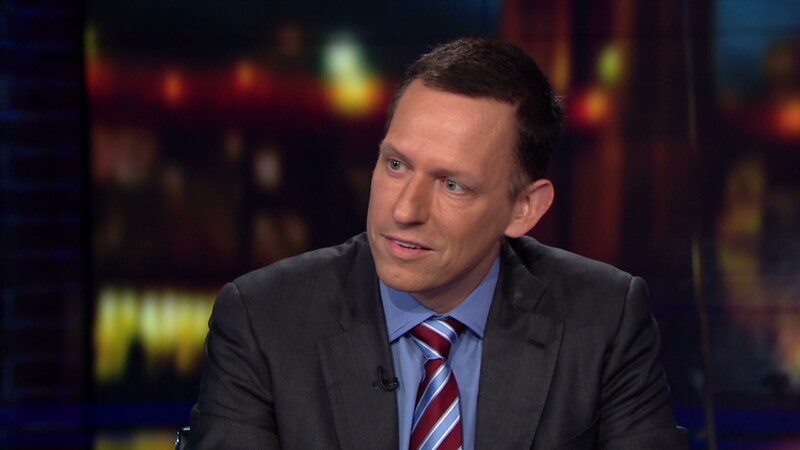 While he said he has "no clue" how to change society, Thiel is bullish on startups (he's invested in Lyft, ZocDoc and Airbnb) because of their innovation potential. "I think you can convince a small number of people to work on doing something interesting and something new," he said. "Startups and new company formation is so important to the technology story in our time." 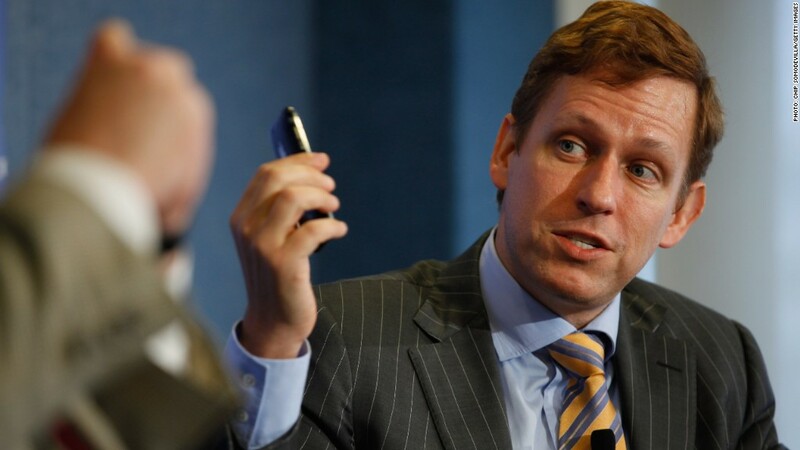 Thiel said that while the government played a huge role in technological innovation historically (like the 1940's Manhattan Project to build the atom bomb and the Apollo program of the 1960s and 70s), the government (and big companies) could be doing more to propel technological change today. "I do think there's an enormous gulf between Silicon Valley and Washington, D.C.," he said. "D.C. is dominated by law and process. Silicon Valley is dominated by engineering, by substance. It's very hard to get reasonable science, technology policy when people understand these areas as poorly as they do in D.C."